Specializing in artistic portraiture, I strive to capture moments in time in a unique and exciting way. I love searching for details that will leave lasting memories of a special occasion or a stage in one's life. I am a proud mother and a wife so I know what it is like to be in the big beautiful dress and wanting every detail perfect. Also to know the joy of holding a newborn and dreaming of all of the wonderful moments that a family will share through the years. These are the moments that I want to capture...Life! There are so many beautiful adventures that life has to offer and I would love to help capture these memories with you. I am a very upbeat and easy going person with a passion for photography and creativity (in any form). I have a Bachelors in Fine Art Photography and Art Education from Ball State University and have been behind the camera for over 20 years. I have always had an artistic eye and have found the perfect medium. I love creating timeless portraits and lasting memories. Photography is such a wonderful way to capture life's moments that come and go so quickly. Looking for a photographer for your big day? Look no further! 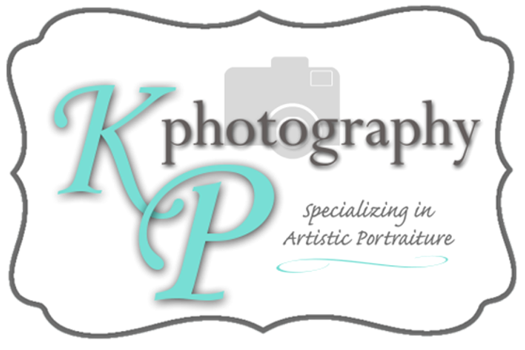 KP Photography offers a variety of options for all wedding styles and budgets. If you are planning a non traditional wedding or a destination wedding, please contact me and we can design a wedding package that is right for you! Individual Style!! That's what every High School Senior has and I would LOVE to capture that unique personality for you. Whether you are looking for traditional portraits, elegant vistas, urban chic, or something off the wall...we can design the right style (or styles) to capture the senior year just how you imagined. With a variety of package options, you can choose the best package to suit your senior. Head over to the Senior Gallery for inspiration and call or email today to schedule your Senior Session. Is your family portrait hanging on the wall from 2 or more years ago? Did you have a new addition to the family? Sounds like you need to update those portraits. I would LOVE to help you with that. Contact me to schedule your session. We can show your family off in a style that you will love! Are you starting a new job? Updating your profile or a website? Contact me for Business Head Shots or if you are interested in marketing images to go along with your current project. I would LOVE to help you with any of your photo needs. Please contact me to start planning! I would love to hear from you and answer any questions you might have! Please let me know what services you are interested in.